Owned and operated by Rod & Nanette Ardoin, Acadian Family Farm is located near Fort Cobb Lake, in Caddo County Oklahoma. 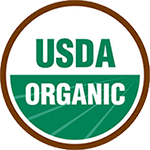 All of our farm, 80 acres, is Certified Organic with the Oklahoma Department of Agriculture, Food and Forestry. Read more about our Organic Farm Certification. 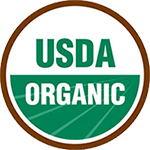 We are not only certified as an organic farm by the State of Oklahoma, but also certified by the USDA (United States Department of Agriculture). 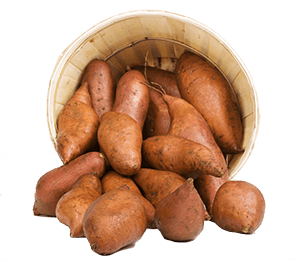 We have over 30 years of growing experience, specializing in certified organic sweet potatoes (of which we grow several varieties) and seasonal vegetables. We only sell what we grow. week day market to be announced soon! Organic Farming – Why our organic vegetable farm makes a difference in the environment. “Organic” refers to the way that our farm not only grows, but also processes our vegetables. Organic farming practices, as outlined by the USDA, are designed to encourage soil and water conservation, as well as to reduce pollution. As an organic farm, Acadian Family Farm does not use conventional chemical methods to control insects & disease nor in fertilizer & weed control (no Round-Up!). We use cover crops to feed soil and plants, as well as crop rotation to prevent disease. Organic is who we are; we raise and sell only organic vegetables. It’s not an add-on business to an already conventional farm. My wife and I believe in organic, and we eat organic as well. We think that producing good, clean, residue-free food is a wholesome way of life in which we can take pride. All of our crops are G.M.O. free (not genetically modified). Occasionally when an insect outbreak becomes unmanageable by organic methods, and there is a crop failure, we just ‘take it on the chin’ – really in the pocketbook, but that’s how it is with organic farming, and yes, it’s still worth it to us!